A government with unpredictable and arbitrary laws, wrote Madison, “poisons the blessings of liberty itself” (James Madison, Federalist No. 62, 1788). Of course, Adams knew that laws are made by someone. His point was that they should be consistent, just, and applied to everyone equally. Instead of having a king pass down edicts, the American Founders established a system in which our elected representatives make laws within the boundaries laid down by the Constitution and designed to serve, as the preamble to the Constitution makes clear, “the general welfare” of society. While kings often made rules designed to tell people what to do, a rule of law is more about crafting clear, simple, fair rules, and giving citizens the maximum possible freedom to decide for themselves how to live their lives. The Founders understood that the pursuit of happiness was a path of discovery, invention, and hard work that cannot be followed when government is constantly telling us what we may or may not do. 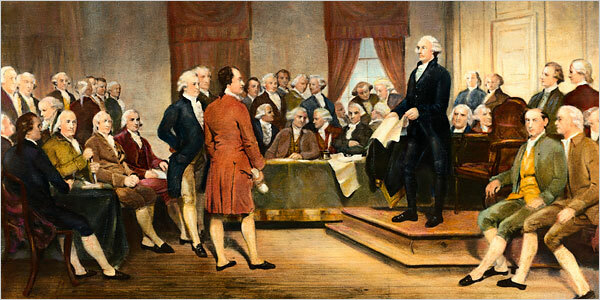 The Founders also understood that the rule of law is essential to protecting minority rights. Remember that they feared not just cruel kings, but “tyrannical majorities” that might be convinced to take away the liberty of people they dislike because of their race or wealth or religion. 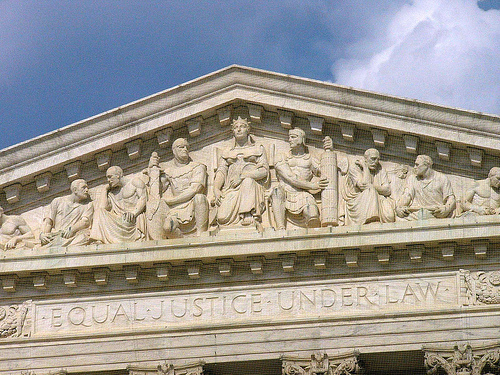 The rule of law insures that laws aren’t designed to target certain groups. Even if the majority of voters decided, for example, to make Muslims pay higher taxes, the Constitution (and the principle of the rule of law that it reflects) forbids singling out a minority group in this way. Not only did the Founders establish a rule of law by limiting the power of government to make laws and guaranteeing that our rights are protected when laws are written, they also insured that laws will be made in the open, according to clear rules. In Article I, Section 7 of the Constitution, for example, they required that any federal tax law must be written in the House of Representatives, whose short terms of office make them especially accountable to voters. The Founders also crafted rules designed to slow the production of laws. While modern-day critics sometimes complain that it takes our government too long to act, this is exactly what the Founders had in mind. They feared what would happen if government officials were too quick to respond to temporary passions or could change rules with great speed. 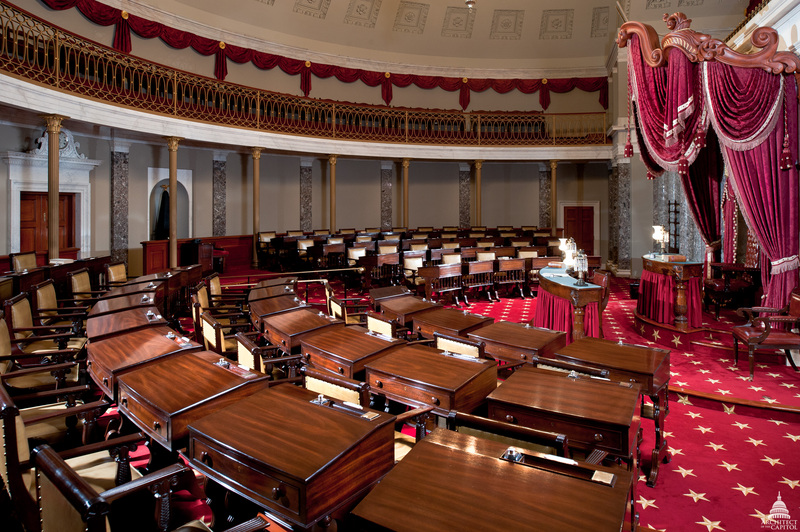 This is the Old Senate Chambers in the United States Capitol. It is now only used for tours and ceremonies. “It will be of little avail to the people,” Madison argued, “that the laws are made by men of their own choice, if the laws be so voluminous that they cannot be read, or so incoherent that they cannot be understood...or undergo such incessant changes, that no man who knows What the law is today, can guess what it will be tomorrow” (James Madison, Federalist No. 62, 1788). As with every part of the Constitution, the Founders understood that words on paper only have so much power. They knew that ultimately the rule of law depends on people with the courage, self-reliance, and wisdom to make prudent decisions, and who have enough tolerance for others to let them live as they see fit.